Scan to your mobile device, tablet or PC. Scan directly to network folders or clouds. Includes Wi-Fi, Ethernet Port and USB port. Please visit our parts section for parts on this model. 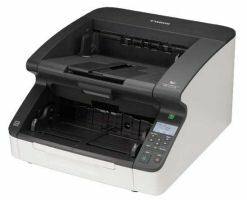 The new wireless and network KODAK SCANMATE i1150WN Scanner makes life a lot easier and more efficient for any business. Scan documents straight to your mobile device and speed up life. Or share one scanner with many users in a tight space or an open collaboration work area. Welcome to a new world of flexible, versatile, cost effective, convenient and stress-free scanning. 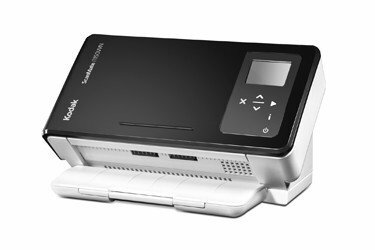 Recognizing that a majority of transactions involve 10 or fewer documents to be scanned, the KODAK SCANMATE i1150WN Scanner features a special Transaction Mode, enabling 60 percent faster capture speed for the first 10 pages. 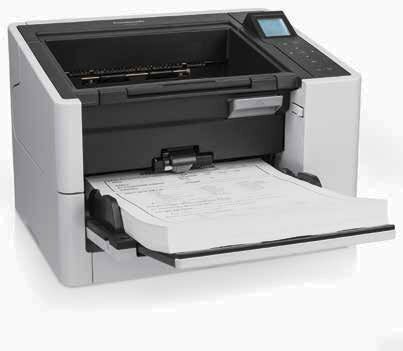 Simple to use – An intuitive display panel makes scanning tasks quick and easy. Easy to share – More than one person can use a wireless network scanner. They're great for collaborative work spaces or small workgroups and they don't have cables! Easy to move around – Wireless network scanners are portable and compact. Scan to any device – Capture information to your computer, mobile or tablet. Cable free – The clue is in the name. They're wireless, which means they are neat and tidy with no cable clutter. Cloud friendly – Organize your documents in your favorite cloud applications like BOX, EVERNOTE or SHAREPOINT at the touch of a button using Smart Touch technology or use with browser-based capture applications such as KODAK Info Input Portfolio. Top quality imaging – Scan everything from ID and credit cards to a wide range of business documents in high quality resolution with our Perfect Page image enhancement technology and reliable document feeding. Simply Secure – Set and control your own level of security with ease. Simple network set up – Just print and scan the encrypted QR code created during the Easy Setup process. 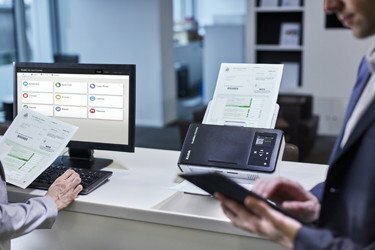 IT friendly – Integrates easily using standard drivers to give you the convenience of wireless scanning with your existing business applications. Protect your investment in capture infrastructure. 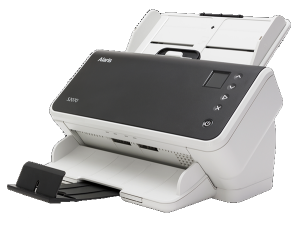 You can use the i1150WN Scanner with legacy applications today and move to cloud-based capture applications in the future. Use the app to find an i1150WN wireless scanner close by, put some paper in the scanner and press scan. The scanned image will then appear on your device. You can share it via email, upload to an app or keep it on your device. EasySetup – Setup scanner on wireless or Ethernet network by scanning an encrypted QR code document. Host Setup application configures host PC use of scanner. Available for the latest versions of iOS and Android devices. 2 in. x 2.5 in. When centered using visual guides. ID cards, embossed hard cards, business cards, and insurance cards. One year warranty (Advanced Unit Replacement). 2 and 3 year options are available from ScanTastik.